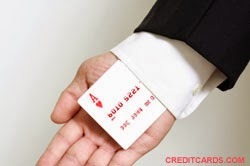 Pick up middle card (ace), put it on the first card, and then put those two on the third card. Pick them up so that spectator can't see the faces. Spectator believes the ace is the second card, but it's actually the top card. 4. Deal the cards in a row again from left to right. Spectator will think the order is king-ace-queen. In fact, it is ace-king-queen. 5. 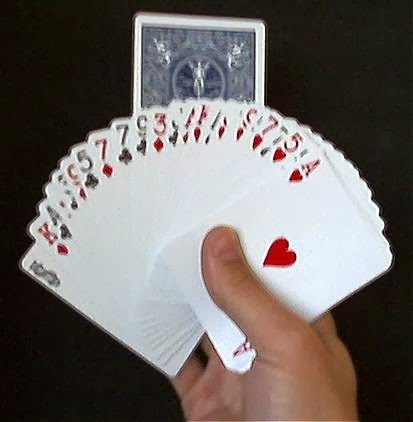 As in step 3, put the middle card on the left card, and the two cards on the right card. Spectator believes the ace is on top; in fact, it is in the middle. 6.